PESHAWAR -- A class of 439 Khyber Pakhtunkhwa (KP) commandos graduated from the Elite Police Training Centre Nowshera on Tuesday (April 3) after completing a four-month-long training. KP Governor Iqbal Zafar Jhagra was the chief guest at the ceremony, where he presented certificates, cash awards and trophies to commandos ranked at the top of their class. "The level of training and the overall response to terrorism and crimes over the past many years have made the KP Police an example for police forces of the country and abroad," Jhagra said at the ceremony. The skills of the newly trained commandos will prove an asset to the force, he added. "The sacrifices and the skills of the KP Police have helped restore peace in the province and rest of the country," he said. The KP Police are paying special attention to improving training, said KP Inspector General of Police Salahuddin Khan Mehsud during the ceremony. 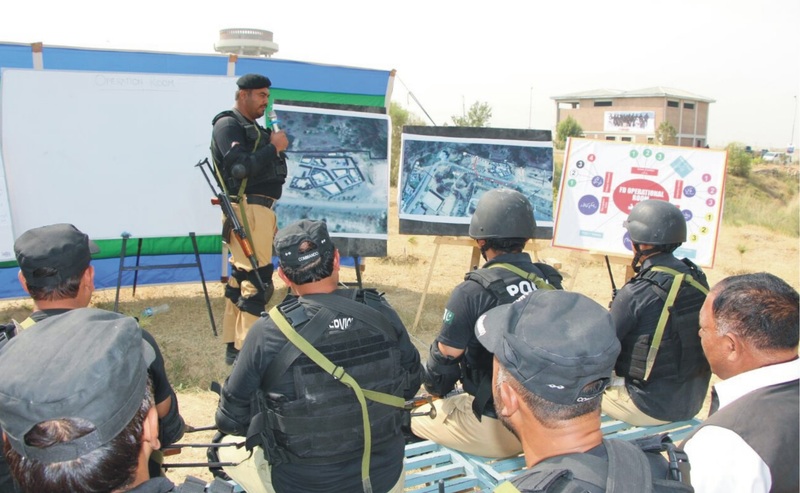 "The Elite Force and the whole KP Police have been better trained and equipped to fight terrorism and crime in the last four years," Mehsud told Pakistan Forward, adding that in that time the number of KP Police training schools has increased from 2 to 13. "2017 was the most peaceful year in KP in more than a decade, but the first quarter of 2018 has proved even better than last year's first quarter," Mehsud said. Kidnapping for ransom in the first quarter of 2018 decreased by 82% compared to the same period last year, he said, adding that terrorist incidents have declined by 74% and extortion by 78%. "Murders dropped by 26%, robberies 45%, muggings by 18% and attacks on government officials... by 62%," he said. "The Elite Force of the KP Police is one of the best in the country and the region because of their commitment, bravery and improved training," said Waqar Ahmad, spokesman for the KP Police. 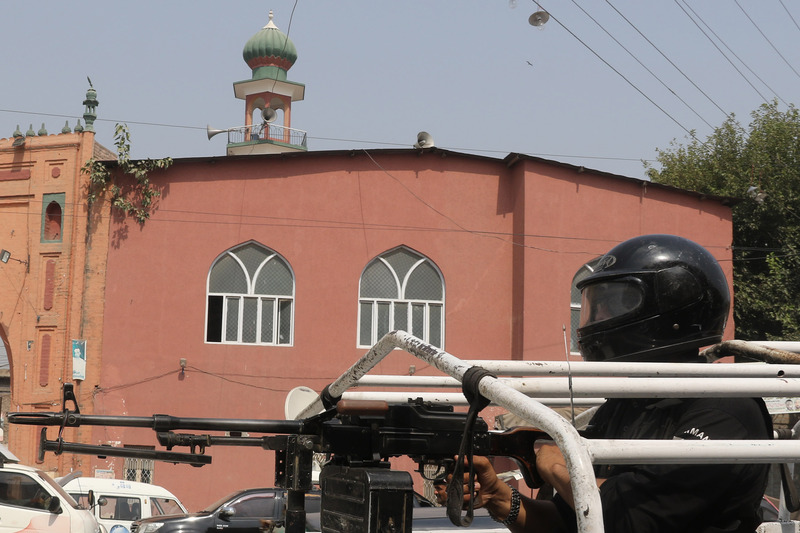 The Elite Force has been deployed in many police stations throughout Peshawar and other districts, where it assists local police in raids, search-and-strike operations and other assignments, he told Pakistan Forward. "Deploying the Elite Force in police stations has improved the performance of police during raids and other actions as it is better trained to deal with extraordinary situations than the regular police are," he said. The Operational Command Course is aimed at training mid-level officers on how to respond to terrorist emergencies and conduct raids. Currently commandos of the Elite Force are used only in extraordinary situations -- that is about to change. 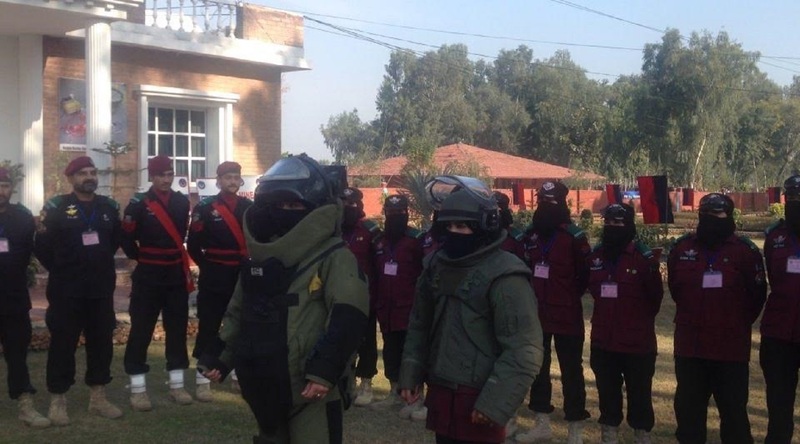 The three sisters are among 12 Khyber Pakhtunkhwa women who recently joined the Bomb Disposal Squad.